Have you played Threes? It’s AMAZING. I heard about it last year, downloaded the app and have played this game an embarrassing number of times since then. 708 times to be exact, most of the time on airplanes… I’m not just wasting away hours of every workday gaming, I promise! Somehow it doesn’t leave me feeling as guilty as playing Candy Crush always did. Threes is an elegant puzzle that was originally released on iOs and won the 2014 Apple "Game of the Year” award. The game is designed by Asher Vollmer, illustrated by Greg Wohlwend and scored by Jimmy Hinson. Playing Threes is as simple as it gets as you can see by the amazing demo below: you combine the 1 and 2 blocks on a four by four grid to create 3s. 3s and 3s are combined to create 6s and so on. The trick is to make the combinations with as few moves as possible because a block fills the grid with each combo you create. The goal is to create combos until really high number blocks are made. The game ends when there is no room left on the grid for new blocks to be added. I have seen some ridiculously high combos-- so far mine is 768 for a total score on that game of 21,609. I’m still working toward a 1536 block and I think I’ll throw a little party when I get there. Well, I’ll probably be on an airplane so it may not be much of a party but I’ll be pretty excited. If you haven’t played Threes for yourself, I highly recommend you download it and get yourself addicted. It’s now available for free on iOs. It’s also on Amazon, Google Play, Windows Phone, Xbox and there is a web interface. I think it’s worth noting that if you haven’t played or heard of Threes, you may have played 2048 and if so, I’d recommend this article from Wired that explains why you should delete 2048 and download Threes. Asher was kind enough to reply to my email asking what else he is up to and he pointed me toward Royals, which I had a lot of fun with. You should also check out Puzzlejuice. I’d also recommend heading over to his website where he announces any updates or new projects and links to so many talented people you can get lost for hours exploring their projects and dreaming up what they might do if they made projects for the tabletop industry. HINT HINT to you publishers out there. With my first new game of this blog, I learned something... that I might play a lot of games in this series but I might also lose a lot of games. And with that, I bring you Twixt by Alex Randolph. 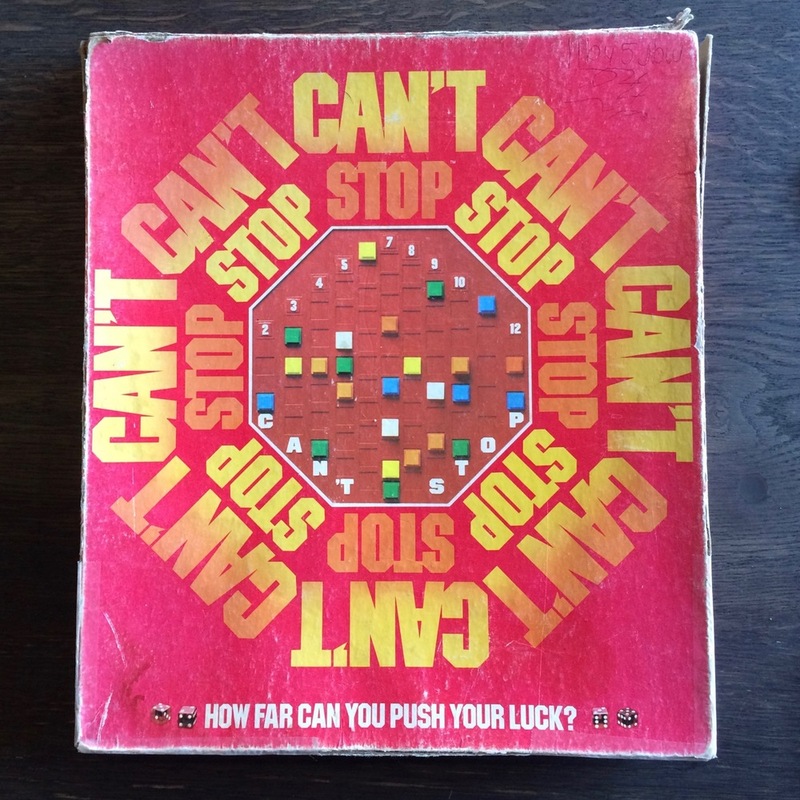 As soon as I decided to start the blog, Andy gave me one of his three copies of this 1962 game. Andy also taught me to play the game and it quickly became clear that I was going to need to study up a bit more before being competitive. 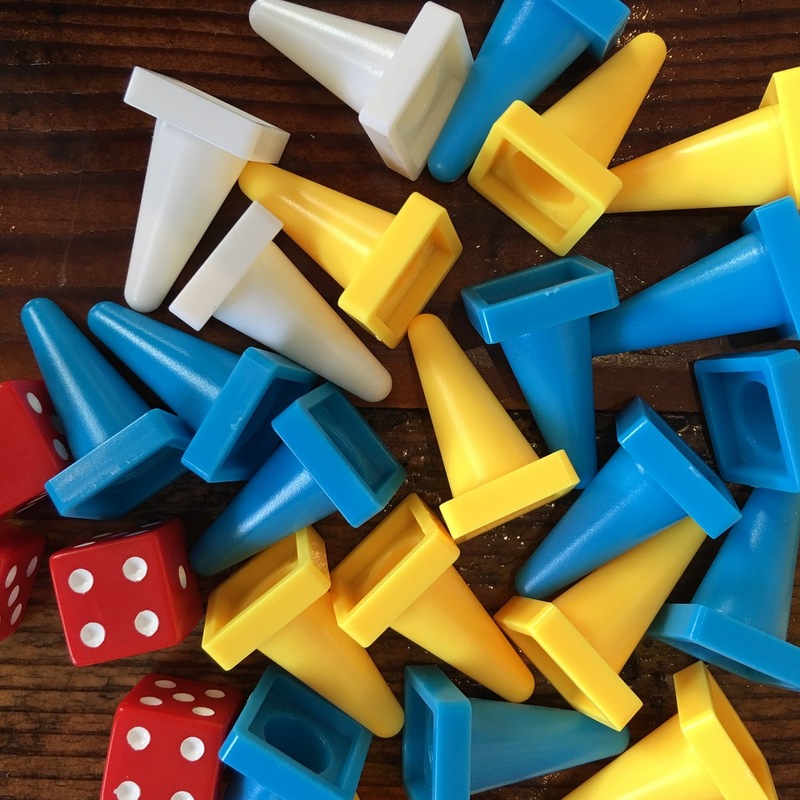 Andy has designed some impressive abstract strategy games with the Looney Pyramids and grew up playing Twixt against his brother, who he tried to reassure me beat him just as easily as he won against me. The goal in Twixt is to build a connection from one side of the pegboard to the opposite side before your opponent. You build a connection by placing pegs and connecting them with the same color links. It took a bit just to get the hang of the distance that worked for linkable pegs. I dug around on BGG and found Twixt Live and T1j and started playing online. I've played online quite a bit and at a couple of game days with friends. I like Twixt because once I understood it, it became incredibly fun to play against other friends who got it. One of the fun things about Twixt is that it's part of the 3M bookshelf series. It is also a 1979 Spiel des Jahres recommended game. The cover art and components for the game are really impressive compared to modern games in my opinion. Mike said in the panel that Twixt is better than Blokus, which is probably true. Twixt is certainly deeper than Blokus and it was great to learn. I'll keep playing Blokus with my friends that don't game very often but Twixt is very accessible, even if it's tricky enough that one wrong move can sink your strategy. I'll consider this one crossed off the list, even if I still need to schedule a rematch with Andy. I'd love to hear if you've played Twixt - it's currently going for $155 on Amazon but I'm sure it's easy to find a used copy for less and the online option is great.